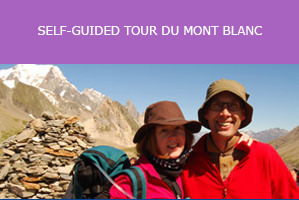 Our Guided TMB spends 9 nights in hotels and 1 night at an auberge. Most of the nights you will have an en-suite bathroom, adding to the comfort. 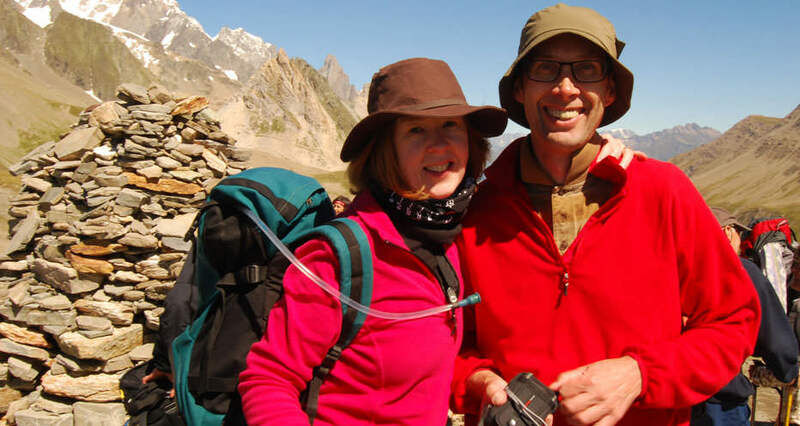 You have a qualified trekking Guide (International Mountain Leader) to lead you throughout the trek. 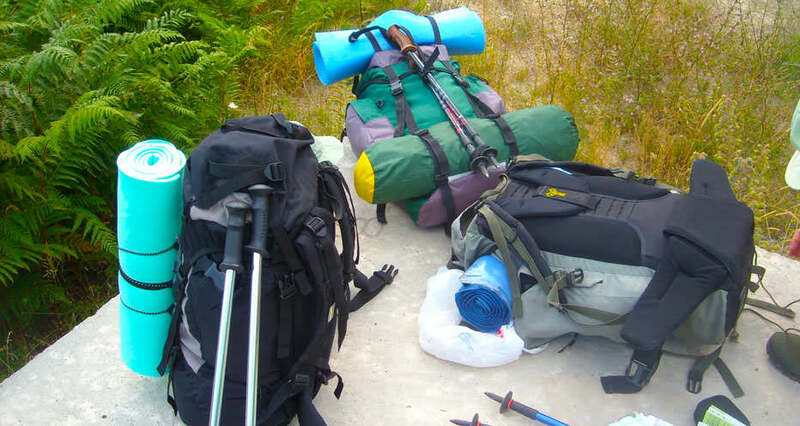 We include most meals and provide a picnic lunch when trekking. 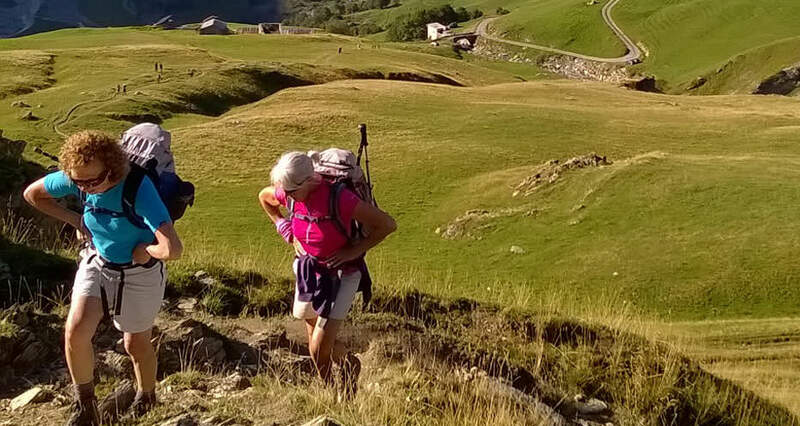 Trekking in a clockwise direction through France, Italy and Switzerland, we cross 5 major passes, cover around 165km and see some of the finest views in the Alps. The toughest and most scenic sections are during the second half. 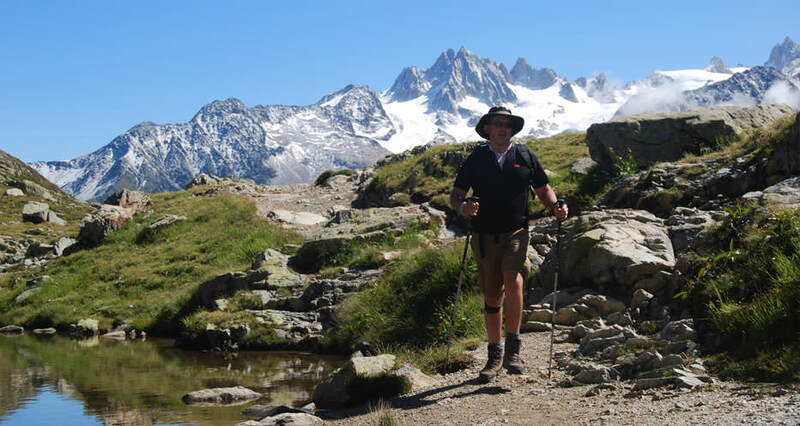 This trip has a built-in rest day in La Palud (Courmayeur) where you can enjoy Italian food and wine or head to the local spa to relax and relieve your aching muscles. Geneva Airport can be reached from 17 airports in the UK and Ireland. It is well-connected with the USA, Canada and Australasia. Both Chamonix and Geneva Airport can be reached by train from the UK. 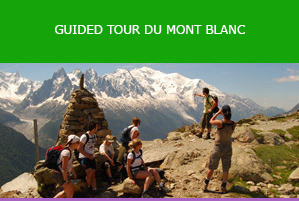 You can also drive to Chamonix in approximately 10 hours from Calais. Please do not book non-refundable travel before we guarantee your departure. 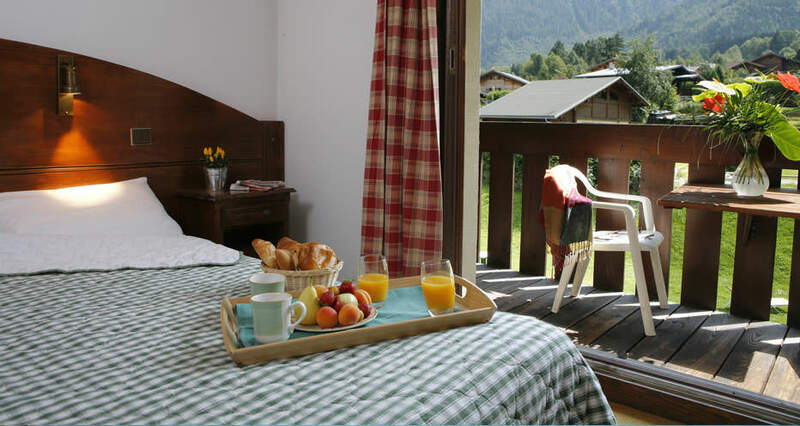 You can easily extend your stay in Chamonix at one of our hotels or guest houses. Please ask us for details. If you wish to pay by credit card or debit card we can accept GBP, USD, CAD, NZD, AUD, EUR only. The hotels offer meals for vegetarian diets. Not all of the hotels cater to other diets, such as vegan and gluten-free, and so we are regretfully not able to offer this.